Analogue Recurring is an experimental screening event, which illuminates the mechanical processes and materiality inherent in analogue film. 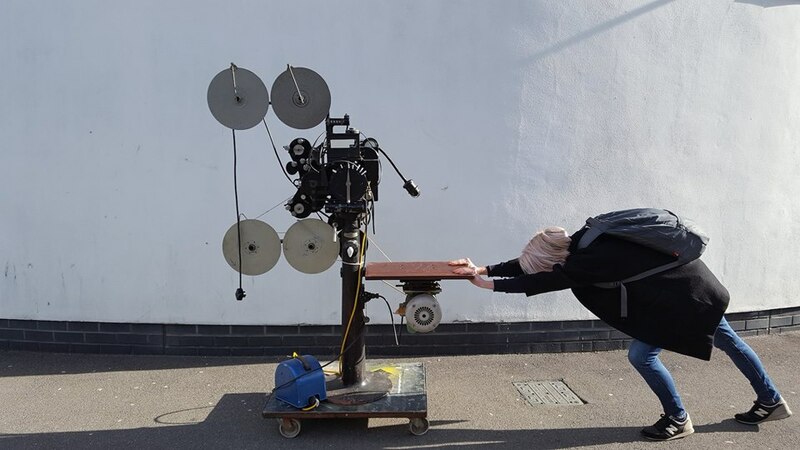 Embracing a DIY ethos the event is a platform to discuss and enjoy contemporary celluloid film in the digital age. A field continuously redefining it’s self as durational and durable. Screening formats are 16mm and super-8 only. Analogue Recurring is a screening event seeking to illuminate the sculptural qualities of working with analogue film, and the mechanical processes and materiality inherent. It is contemporary, experimental and embraces a DIY ethos. Bringing together artists who insist on working with the material of celluloid film, the event is a platform to discuss and enjoy the visceral pleasures of analogue films and their projectors. This is contemporary analogue film in the digital age. The screening will be analogue only. We will project 16mm and if possible some super-8. We are also interested in expanded cinema or multi-screen works, although we may have some limitations due to size of space, and projector logistics. But all proposals considered, and welcomed.